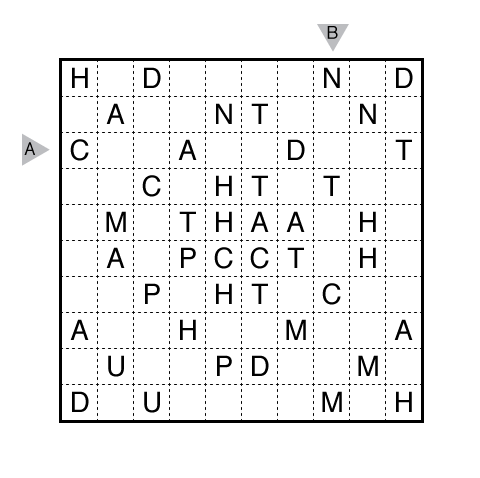 Author/Opus: This is the 133rd puzzle from our contributing puzzlemaster Murat Can Tonta. 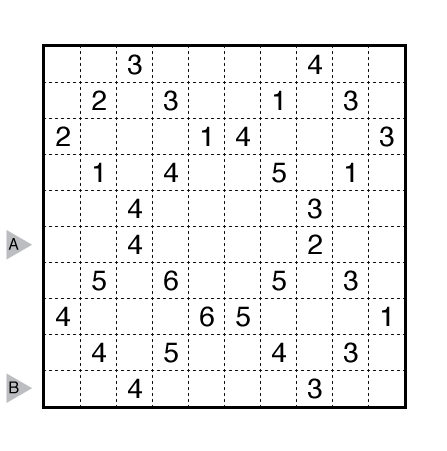 Answer String: For each cell in the marked rows/columns, enter the area of the polyomino it belongs to. Enter just the last digit for any two-digit number. Start with the 6th row, followed by a comma, followed by the 10th row. Rules: Standard Fillomino rules. Also, each letter represents a different positive integer. 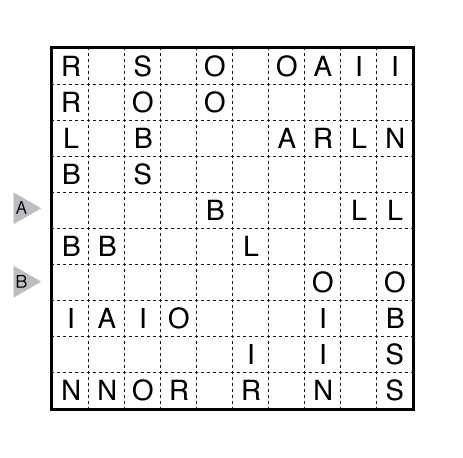 Answer String: For each cell in the marked rows/columns, enter the area of the polyomino it belongs to. Enter just the last digit for any two-digit number. Start with the 5th row, followed by a comma, followed by the 8th row. 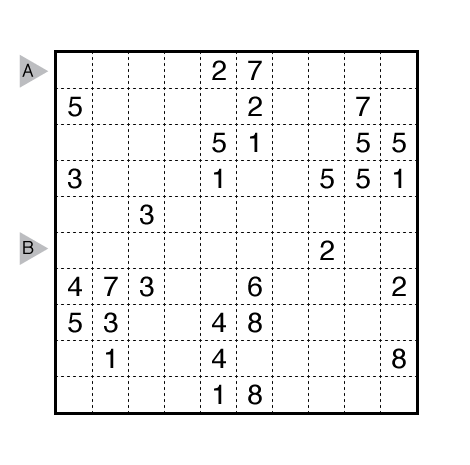 Answer String: For each cell in the marked rows/columns, enter the area of the polyomino it belongs to. Enter just the last digit for any two-digit number. Start with the 5th row, followed by a comma, followed by the 7th row. Answer String: For each cell in the marked rows/columns, enter the area of the polyomino it belongs to. Enter just the last digit for any two-digit number. Start with the 4th row, followed by a comma, followed by the 6th row. 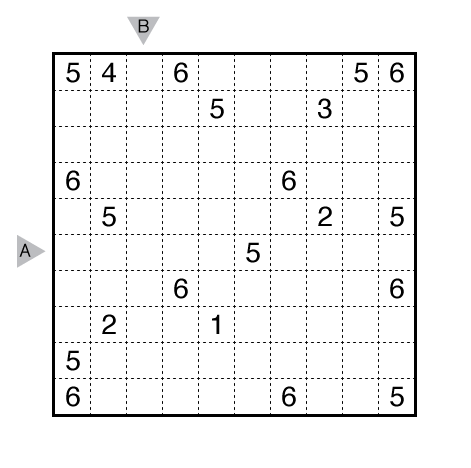 Answer String: For each cell in the marked rows/columns, enter the area of the polyomino it belongs to. Enter just the last digit for any two-digit number. Start with the 3rd row, followed by a comma, followed by the 8th column. 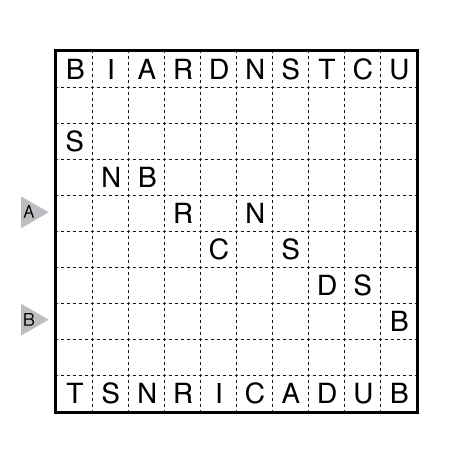 Author/Opus: This is the 291st puzzle from our contributing puzzlemaster Grant Fikes. 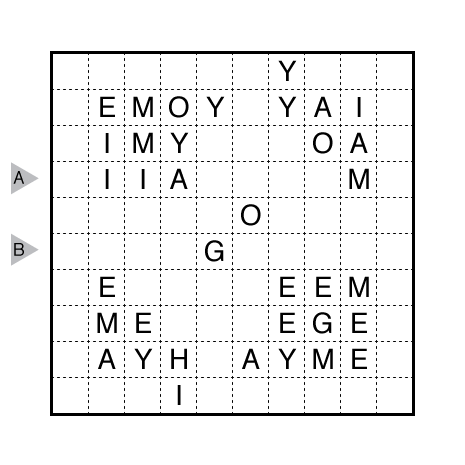 Answer String: For each cell in the marked rows/columns, enter the area of the polyomino it belongs to. Enter just the last digit for any two-digit number. Start with the 1st row, followed by a comma, followed by the 6th row.